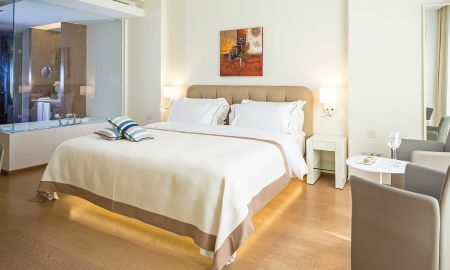 Set in the elegant and fashionable area of Saifi, O Monot Beirut is a luxury independent boutique hotel coming with 41 stylish rooms and suites decorated with soft shades and enriched with contemporary colourful works of art. The history and art perceived in the rooms leave the necessary space to modernity and technology since all rooms welcome the latest devices and equipment. The sharp and soft lines of the hotel exterior mix with the elegant minimalism of the interior, but this apparent contrast creates balance and harmony. O Monot Beirut also welcomes a gourmet restaurant, a pool and a terrace bar from where you can admire unique panoramas over the city. 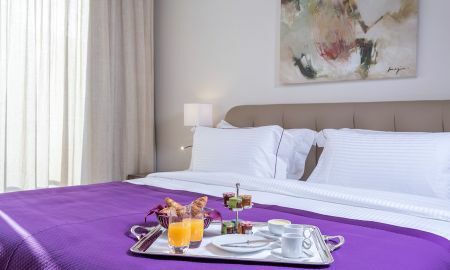 Included in the list of Small Luxury Hotels of the World (SLH), O Monot is the ideal destination for sophisticated travellers, businesspeople and stylish visitors. 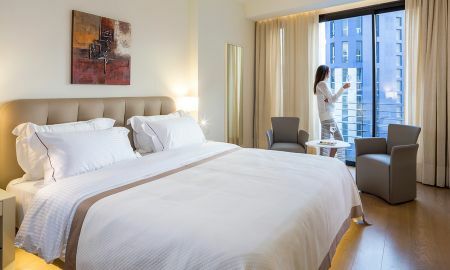 O Monot Beirut rises in Beirut, in the heart of the Safi district, 7 km from Beirut Rafic Hariri International Airport and a few steps from the city's main attractions.